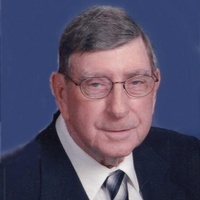 Mr. Eulis A. Grooms, age 93, of Melber passed away on Tuesday, March 26, 2019 at Countryside Center for Rehabilitation and Nursing in Bardwell, KY. He was a member of Trace Creek Baptist Church, a retired employee of Goodyear Tire and Rubber Company, and WWII U.S. Army veteran. Mr. Grooms is survived by one son, Randy (Iona) Grooms of Mayfield, KY; one daughter, Charlotte Ann (Tommy) Cruse of Melber, KY; four grandchildren; and four great grandchildren. He was preceded in death by his wife, Helen Smith Grooms and his parents, Charlie and Mamie Windsor Grooms. Funeral services for Mr. Eulis A. Grooms will be 1:00 p.m. on Friday, March 29, 2019 at Trace Creek Baptist Church. Rev. Ronnie Stinson, Jr. will officiate. Interment will follow at Mayfield Memory Gardens. Military graveside rites will be conducted by American Legion Post #26. Pallbearers will be Greg Cruse, Richard Cruse, Ryan Cruse, Jeff Grooms, Brandon Dublin and David Hailey. Visitation will be 11:00 a.m. – 1:00 p.m. on Friday, March 29, 2019 at the church. Byrn Funeral Home in Mayfield, KY is in charge of arrangements.